Snow in Vancouver, quite unusual. 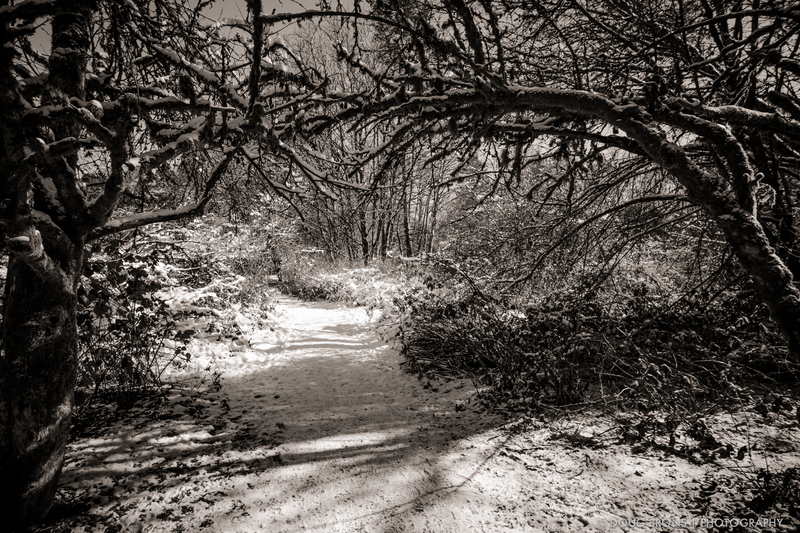 Picked a bright sunny afternoon and headed to Camosun Bog at the edge of Pacific Spirit Park with my X-T1 and Rokinon 12mm to get more comfortable with the manual focus of this lens. You’d think it would be pretty simple with a 12mm lens! The image below is the trail to the bog. Fujifilm X-T1 | Rokinon 12mm f2.0 NCS CS | ISO 200 | f11 @ 1/180 sec.